We want to make Radio as intimate as a gift, as social as facebook, as mobile as a phone and, as local as a corner store. We do this by merging the mixtape, mobile and radio in a very low cost, series of very local projects that we call Mixtape µRadio. We care about our music, and we care about the declining quality of our musical culture, not just in Australia but around the world. We care that our culture and our communities have been slowly rent apart by identity politics, and the commercial forces that foment and profit from these divisions. 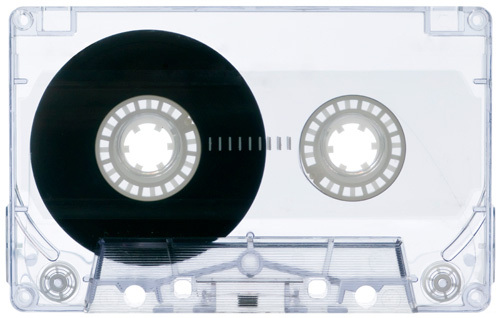 We believe it all starts with a song, but can end with a mixtape. The nature of the mixtape is that it is a gift. More than this, it is perhaps the most accessible art form to non-artists that doesn’t involve finger-paint. Everyone has been involved in mixtaping at some point. A Mixtape is this: A CD given to a grandmother by a granddaughter: a brother collecting some songs on a memory stick for his sister; A lover composing an iTunes play-list for an ex with the dreams of winning their object back. A tape you found underneath the seat of a car you havn’t cleaned in years. The stuff of real lives. Stated formally, Our goal is to challenge and subvert the hierarchical structures and attendant aesthetics of Broadcast Radio with a social and socially-networked one; To bring the oldest form of electronic media into the new and networked world; To make a community oriented bridge between the music that people listen to with each other, the music that people give to each other, and the music we hear on the public radio waves. We start a series of micro (µ) radio stations, of roughly 3-5km broadcast radius, programmed on a strictly volunteer and non-profit basis by listeners inside that radius, and create deep and connected user experiences through the use of the web, iPhone, Android and (of course) real life events– barbecues, listening parties and trivia nights. We keep things simple because it makes us approachable. With this simple method we take the ego and identity politics out of radio. We remove all presenters. What we play is just the music, programmed thoughtfully by people in the community. Non-professionals that care. Just the music. This goes a long way to removing the aura of celebrity, and reflected glory, and instead returning the focus to where it should be– the music, the melody, the voice. In this way we use the mixtape not just as a method of playlisting democratically, but as a way of bringing communities together; Rather than driving people into seperate identities, alienation and apart, we bring them together with their ears. The mixtape knows no gender, no age, no race, no class. Similar projects exist in both the commercial, non-profit and art/experimental sectors. We believe our project to be unique. Conceptually, the closest project to Mixtape µRadio, would be Amsterdam‘s Italian run ‘Radio Oltranzista’ (RadioOltranzista.net) or August Black’s Linz, Austria based ‘fundamental radio’ (aug.ment.org/funda). Both of theses projects aimed to actively challenge the division between the audience and the broadcasters, as we do– fundamental radio making strides to take the studio out of the broadcast entirely, even producing a wonderful program called ‘userradio‘ in which up to four people collaboratively play-list a broadcast from their bedrooms anywhere in the world. The nature of these experiments is that they are combative both aesthetically, and conceptually, and have difficulty finding a broad audience outside the milieu’s of experimental art and radical politics. Though acknowledging and enthusiastically taking inspiration from these ground breaking efforts, we seek to be much more intimate and subversive in approach. In the Non-Profit sector, we look towards Free Radio Berkely (freeradio.org), specifically their outreach programs in South America where they actively train stakeholders in small rural communities- particularly ones in ethnic-minority and minority-language areas. This attitude to outreach, low cost, and high focus on community building is something that we take into our own practice. In Australia, The ABC and JJJ have made efforts to ‘mobile-ize’ their content, having radio streaming of most ABC local radio stations, radio national &c. This is by nature unidirectional, and has a very thin layer of interaction for the listeners to contribute back, often relying on the old technologies of ‘the call-in’, and the whole experience being definitely centred around the radio presenter. Both these artefacts (the presenter, and the mediated land line phone-bank) are objects we seek to remove. JJJ’s unearthed projects, and their iPhone applications, in our opinion been among the most effective methods of closing the listener/broadcaster gap. They are of course conducted in the spirit of fame chasing and celebrity. Something we actively avoid. The ABC’s ‘POOL‘ project (pool.abc.net.au) is particularly notable, for it’s networked, dispersed and flattened organisational structure, but is not focused on audio production. There are a number of commercial stations that are flirting with the ideas that we champion, these commercial stations are not positioned to actively engage in the kind of radical reformation of their aesthetics that we propose, nor to create the kind of mobile phone experiences that we intend. For profit premium SMS services abound, connected to commercial stations, and this is something that we want to avoid. Our practice is deliberately simple. For our initial launch next April, we plan to broadcast using cheap handmade transmitters from the workshops at Free Radio Berkely (freeradio.org) and broadcast on free rolling special event licenses, locating the transmitters on residential roofs. We will distribute for free cheap battery powered promotional fm recievers by the hundred. We currently seek contributions in the form of Tape, CD, Memory stick and online play-list, but are seeking to expand into iPhone and Android applications, to which we’re recruiting developers including Sam Keene, the creator of the iPhone application ‘TAGGR‘, and Hoan Ton-that a somewhat infamous facebook, SMS and IM developer. After initial prototyping and proof-of-concept, we are looking to develop software to automate more of this process, making it easier to share data, and workload, between nodes/stations in our network. Ultimately, we want it all playlist and station management to be completely automated, devolving totally all programming decisions to the listener/audience. Specious Pty. Ltd. was founded in July 2007 with the explicit goal of building strong core teams and a broad network of support toward these aspirations, then execute the first phase of the project. It’s board of directors are composed of a diverse group of young professionals and artists from different parts of the media, led by a young executive, Ben Griffin. We have teams present in Newcastle, Sydney, Canberra, Surfers Paradise and Berlin, Germany. We keep our core organisation small, and all members of our board perform executive functions. Following is our core team, their formal positions inside Specious, location, their day-jobs and, a brief description of their responsibilities. Advertising Executive, Blogger and Radio Presenter (2SER, Sydney). Team management and Adminstration of Newcastle Project. Liason with ACMA on Licensing issues, Technical advice and Procurement. iPhone application deveopment, supervision of Android Development. Posted on 2011-12-01 2012-01-16 by benggriffin	This entry was posted in Prose, Public. Bookmark the permalink.